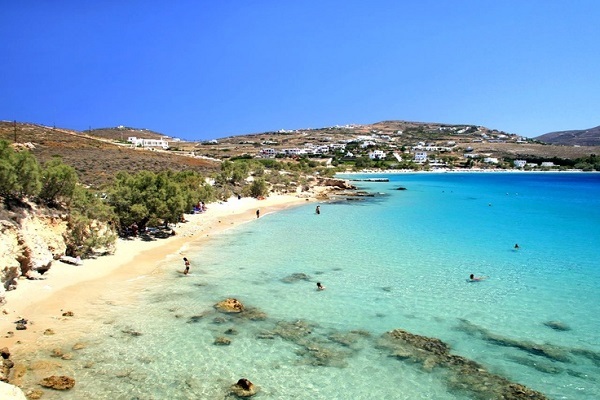 Paros is one of the Cyclades island with an abundance of beaches that have different style and feel. Whatever your intentions and company this year, you are sure to find the one that you’ll spend hours there. 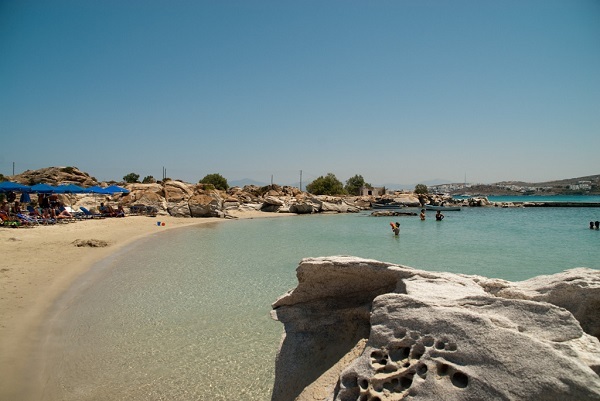 Kolimbithres is one of the most famous beaches of Paros, located north on the island, only a short boat drive from Naoussa. The first thing you’ll notice are the cool rock formations that blend perfectly with the sandy bay. It is a very nice place to play with your kids, build sand castles or wear your mask and explore the clear waters. Lie on your sunbed to get your suntan and when you get hungry walk to the nearby restaurants to try Greek cuisine. Punda beach is the place to be if you are into partying long before the sun sets. The beach that attracts the youngest crowd throws popular beach parties, but is also great if you are in the mood for an adrenaline boost with bungee jumping. 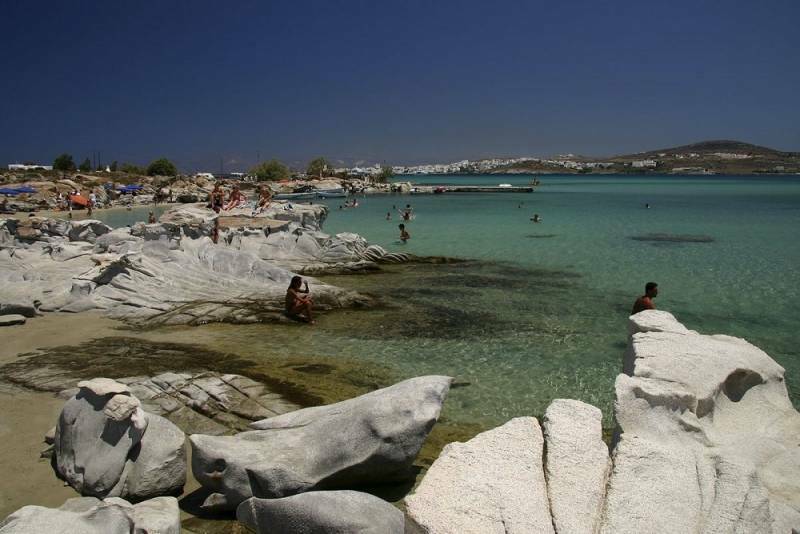 Agios Fokas is the synonym of quiet and maybe privacy in Paros! 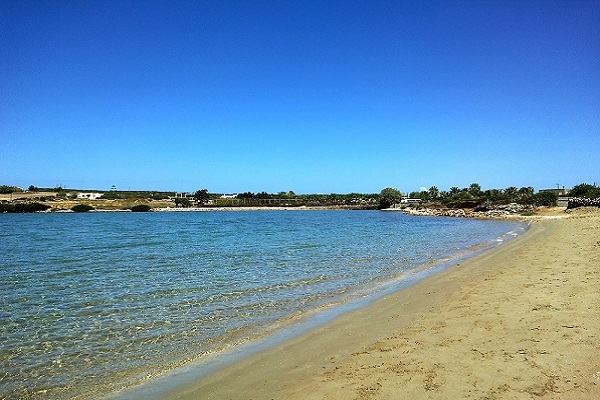 It is only 6 km away from Parikia town, but since it is completely unorganized, it is a very good beach to swim in peace and quiet. The small sandy beach has crystal clear water that will certainly compensate you for the absence of sunbeds and umbrellas. Get ready for exotic tan. Lageri is a small unorganized beach that has won over the nudists’ heart. You can gain access through a path that will certainly reward you as the it has an amazing route that leads into private bays with wonderful water. It is also perfect to watch the sun as it sets while you are there. Golden beach is the famous meeting point of surfers. This beach is one of the biggest on the island, spreading for almost 1.5 km. It offers ideal conditions for surfing, so definitely try it! 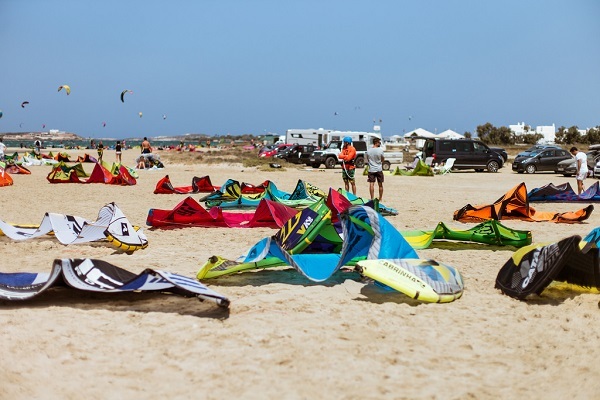 If your group is not up to it, there are many options for beach bars and sunbeds to spend the day there, since the golden sand is attracting everyone! Want to see it for yourself? Choose your luxury Paros villa and enjoy!